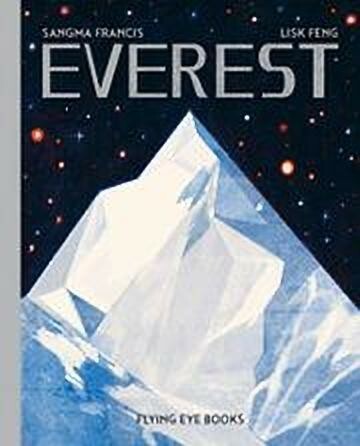 Mount Everest is undoubtedly the most famous mountain on Earth. Hundreds of people clamber to its summit every year, following in the footsteps of Sir Edmund Hillary and Tenzing Norgay, hoping to experience Earth’s highest peak. But there is so much more to this mountain than the people who climb it. In this new release, readers travel back to the mountain's ancient origins as 50 million years ago the two tectonic plates that we now know as India and Europe collided forcing the land upwards and creating the Himalaya (a Sanskrit word meaning "home of snow"), the biggest mountain range on the planet, one which is still rising at up to 10mm a year. Known to the Tibetans as Chomolungma or "Mother Goddess of the World", to the neighbouring Nepalese as Sagarmatha or "Goddess of the Sky" and in English as Everest after Sir George Everest who was head of the Great Trigonometrical Survey in 1865, this magnificent mountain rises 29029 feet (8848 metres) into the heavens between Tibet on the northern side and Nepal on the southern. The author covers a wide range of topics from how to measure a mountain- it's all done with triangles - to the flora and fauna that live at its various altitudes, to the sacred stories, myths and legends that have built up over the years. Of course, being a New Zealander I was very interested in seeing if Sir Edmund Hillary was given credit for being the first to conquer the peak in in 1953 and even though the attempts to the top are seen through a British lens, with Sir John Hunt getting a greater focus as leader of the whole expedition, there is a special section dedicated to that final push on May 29th as Hillary and Tensing Norgay finally conquered that which had been tantalising many for so long - and still does as thousands make their way to Base Camp each year. Perhaps because Sir Edmund became a friend of my mother's and once took her down Aoraki (Mt Cook in New Zealand) on the back of a skidoo so she could be home in time for my birthday, Everest has always held a fascination for me. So this book, which is perfect for younger readers wanting to know more, took me to aspects of the mountain that I didn't know - as it will for those independent researchers who are looking for a starting point to discover this unique landmark. A Children's Book Council 2019 Outstanding Science Trade Book for Students K-12.